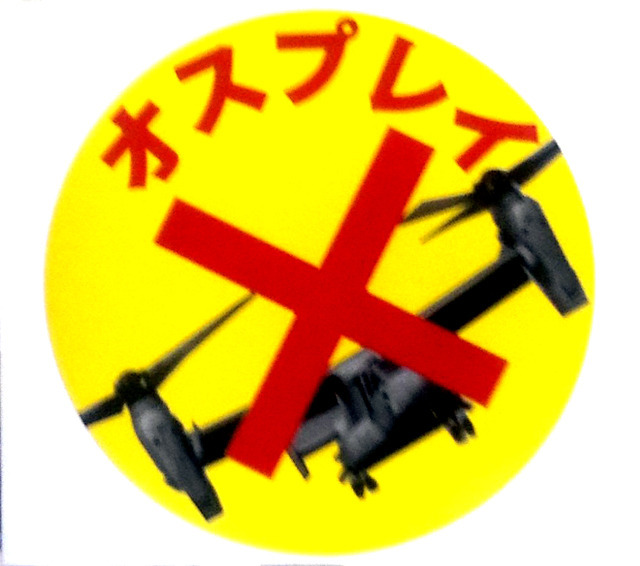 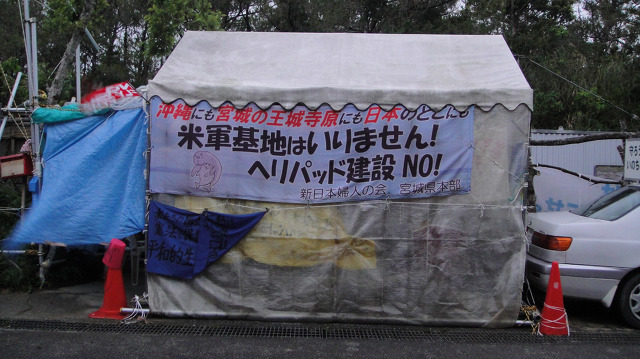 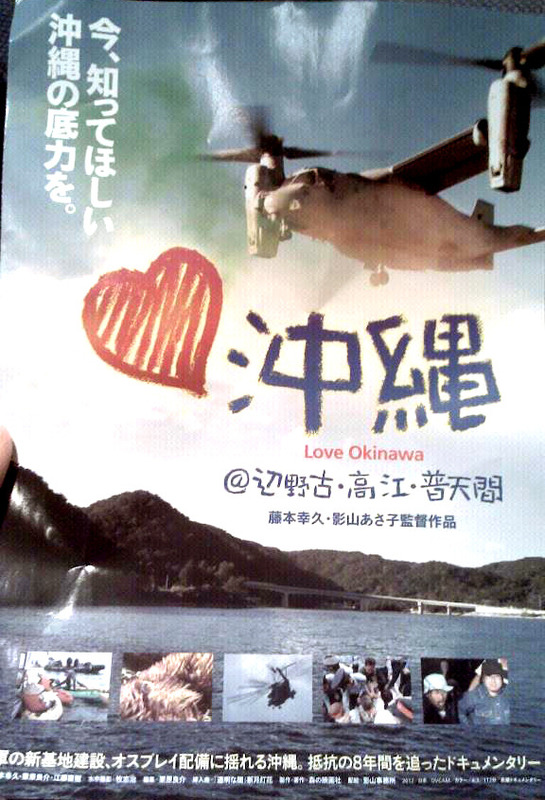 Solidarity trip to Okinawa: Thanks for solidarity! 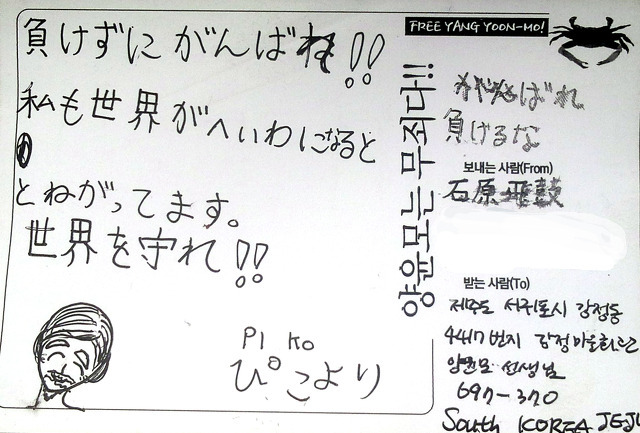 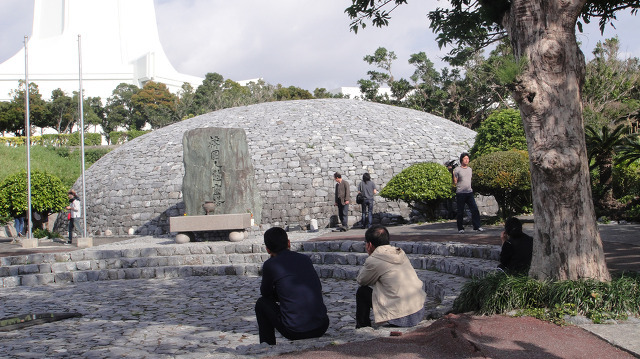 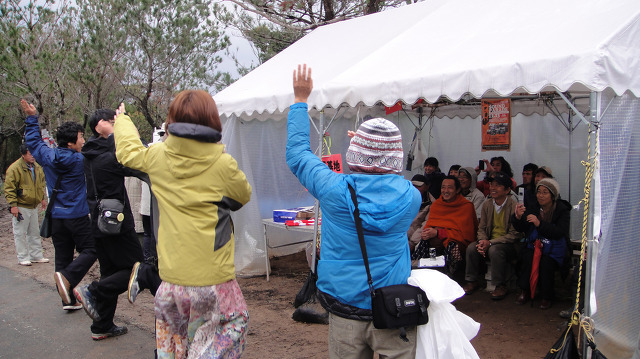 The members of the Tamra Artists Association of the Jeju, including Mr. Koh Gilchun, has visited Okinawa, as its artists’ culture trip program from Feb. 19 to 23, 2013. 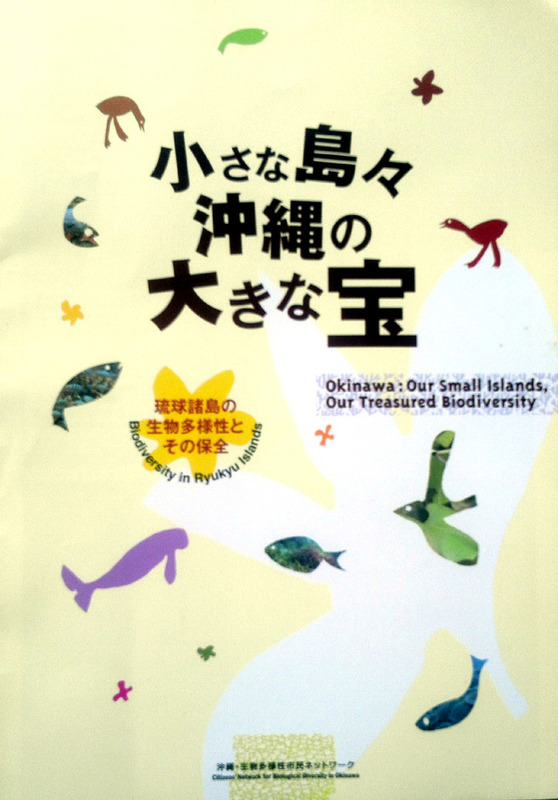 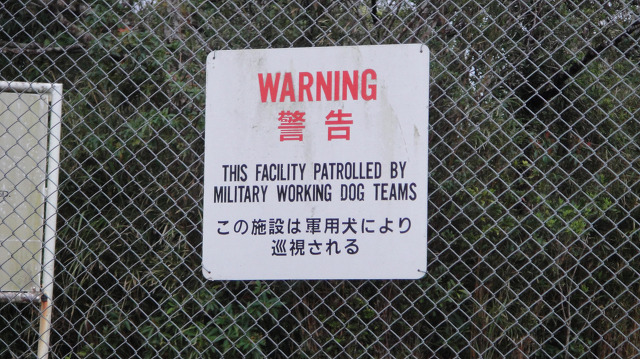 During the trip, Mr Koh Gilchun has visited Takae, a small town located in the northeastern part of Okinawa, struggling against the expansion of the US military helipad that destroys its precious community life and diverse species of the Yanbaru forest. 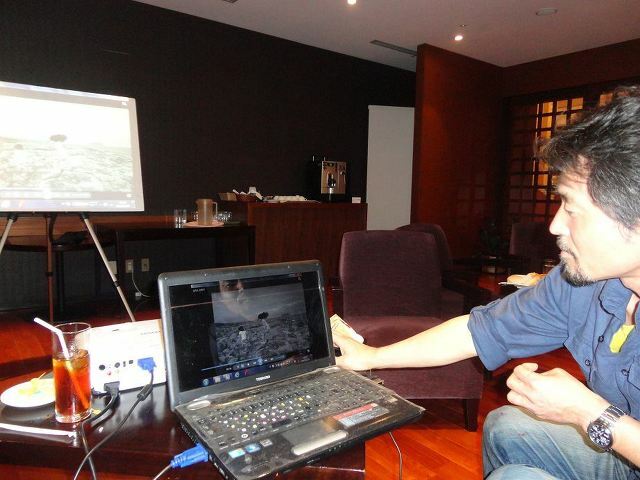 Watch the movie on the struggle of Takae, here. 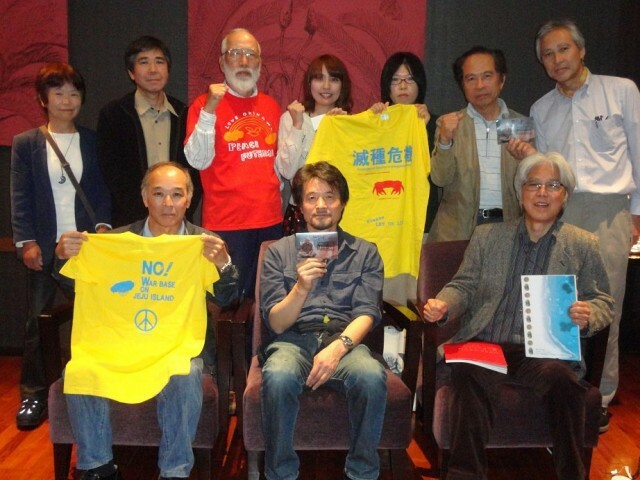 On Feb. 19 and 20, he joined the members of Peace Nomad led by Fr. 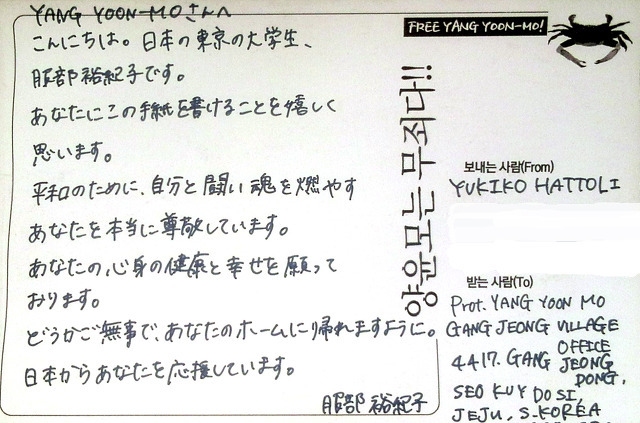 Mun Jeong-Hyoen. 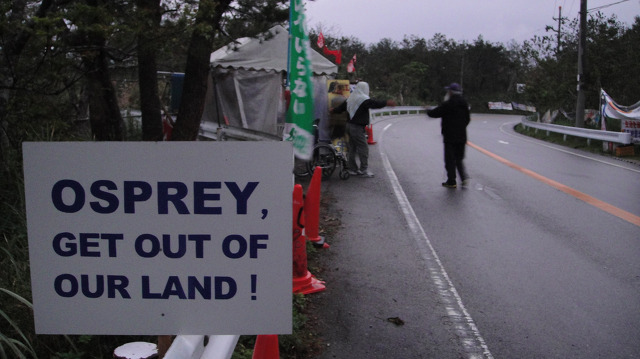 The people from the Jeju joined the Takae people in solidarity protest to stop the construction of the Osprey airstrip in the early morning of Feb. 20 and were warmly welcomed of their presentation on the Gangjeong addictive dances to them. 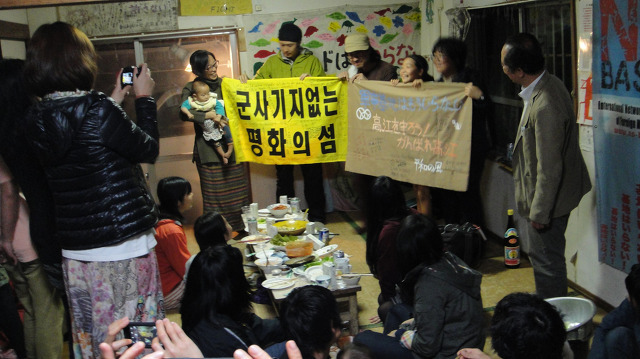 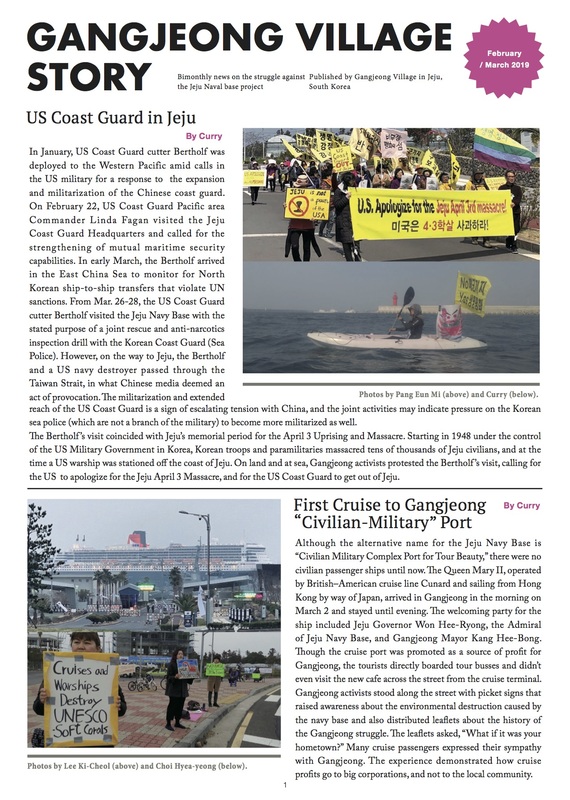 Mr. Koh told how Okinawa residents and peace activists warmly welcomed the people from the Jeju, despite the South Korean government oppression of entry denial on some of them. 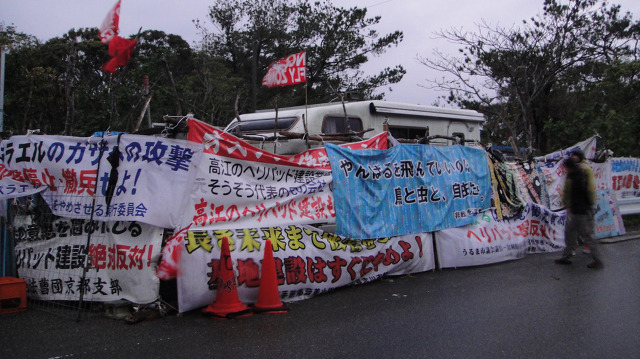 About 15 Okinawa ans Japanese and activists have been denied entries to South Korea regarding the Jeju naval base issue since Aug. 26, 2011. 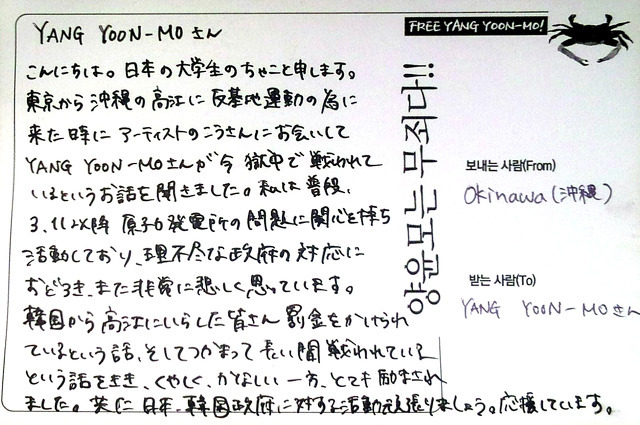 You can see the summary on it, here. 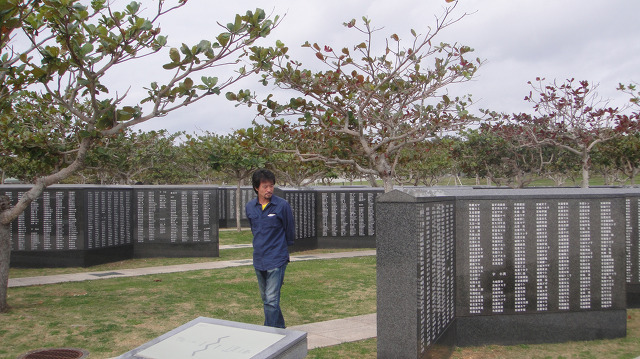 The Jeju artists also visited the historic Shuri Castle, and Okinawa Prefecture Peace Memorial Museum where the memorials of the Okinawa and Korean victims during the WW II are located. 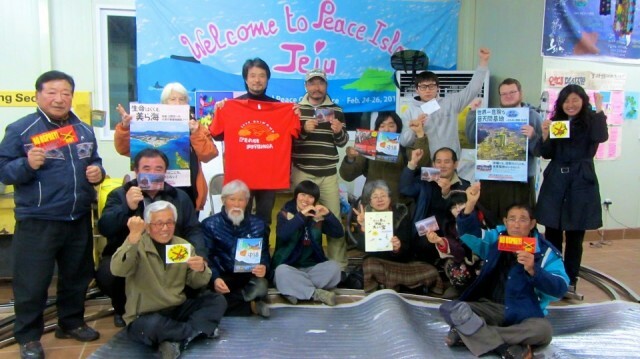 We want to express our deep gratitude to the people in Okinawa for their heartfelt solidarity and organizing support for the Jeju people’s trip.